When it comes to dealing with the thorny question of how to close Guantánamo, the remaining prisoners have been caught between two competing systems since President Obama took office last January, and the result, to put it mildly, has been confusing. Under President Bush, prisoners were cleared for release by military-review boards, established to review the supposed evidence against them, and to determine whether they constituted an ongoing threat to the United States. This appeared to be a maddeningly arbitrary system, but it led to the release of hundreds of the prisoners. In June 2008, the Supreme Court added a second layer of review, of a more substantial nature, when it recognized constitutionally garanteed habeas corpus rignts for prisoners; in other words, the right to challenge the basis of their detention in a U.S. court. This right had been upheld by the Supreme Court in June 2004, leading to the filing of habeas petitions on behalf of the majority of the prisoners, but these were all stalled when Congress submitted to the president’s wishes and passed legislation that purported to strip the prisoners of these rights, in the Detainee Treatment Act of 2005 and the Military Commissions Act of 2006. Following the Supreme Court ruling in June 2008, District Court judges began hearing the prisoners’ habeas corpus petitions, and the prisoners secured, for the first time, an objective review of what the government claimed to be evidence proving that they were connected to al-Qaeda and/or the Taliban. The result was a disappointment for the government, although it came as no surprise to those who had been studying Guantánamo closely and who knew that the majority of the prisoners had been seized by America’s Afghan and Pakistani allies, at a time when substantial bounty payments were being offered, and that the majority of the supposed evidence against the men came from their own interrogations, or those of other prisoners, which were often conducted in conditions where torture, coercion, or bribery were prevalent. From October 2008 to January 2009, 23 prisoners won their habeas petitions, and just three cases were won by the government. In the case of 17 Uighurs (Muslims from China’s Xinjiang province), the government gave up all pretense that they were “enemy combatants,” having established, soon after they were seized in December 2001, that their only enemy was the Chinese government, and having suffered a humiliating court defeat shortly after the Supreme Court ruling last June. A judge also dismissed the government’s claims against five Algerian-born Bosnian citizens, who had been kidnapped by U.S. agents from Sarajevo in January 2002, in connection with a non-existent plot to bomb the U.S. embassy, and the case againsta Chadian national, who was a child at the time of his capture by Pakistani police in a raid on a mosque in Karachi. In both cases, the judge — Richard Leon, an appointee of George W. Bush — dismissed the government’s supposed evidence by ruling, in the case of the Bosnians, that a supposed informer was unreliable, and in the case of the former child prisoner, Mohammed El-Gharani, that unreliable witnesses in Guantánamo (whose unreliability was known to the authorities) had concocted a fictional story about him. Judge Leon also ruled that the government had established a case against one of the Bosnians — in connection with purported plans to recruit men to fight in Afghanistan — and against two other prisoners with supposed connections to the Taliban or al-Qaeda in Afghanistan, but it was a poor start for the government’s defense of its rationale for holding men for seven years without charge or trial, and these same problems resurfaced under Barack Obama. In Obama’s first year in office, nine prisoners won their habeas petitions, and six lost. Those who won included a Syrian who had been tortured by al-Qaeda as a spy, an Afghan (also a child at the time of capture) whose confessions were taintedby threats of torture, and a Kuwaiti businessman who had been tortured in Guantánamo until he came up with false confessions that were only finally exposed by a judge last September. In all these cases, false confessions and unreliable witnesses fatally undermined the government’s case. Moreover, in the majority of cases that the government won, the fault lines in the Bush administration’s rationale for defining men as “enemy combatants” became apparent: most were, at best, peripheral characters in the war between the Taliban and the Northern Alliance that preceded al-Qaeda’s terrorist attacks on September 11, 2001, and should, by any objective measure, have been held as enemy prisoners of war and protected by the Geneva Conventions. Although the majority of the nine prisoners who lost their habeas petitions were cast back into the unprecedented world of indefinite detention conceived by the Bush administration, awaiting a substantial overhaul of the very basis of detention policies in the “war on terror” that has not yet happened, it was clear that the courts provided the first objective review of the Bush administration’s policies. It muddied the waters, therefore, when President Obama established an interagency Task Force to review all the prisoners’ cases, and to come up with its own conclusions about who should be released and who should be put on trial. The Task Force struggled to pull together information about the prisoners that was scattered throughout various department and agencies, and took until January this year to complete its findings, advising the president that 35 prisoners should be put forward for trials, that 47 should continue to be held indefinitely without charge or trial, and that the rest — around 110 prisoners at the time — should be released. However, the biggest disappointment was the Task Force’s recommendation that 47 men be held indefinitely without charge or trial. “Preventive detention” was at the heart of the Bush administration’s baleful experiment in holding prisoners neither as prisoners of war, protected by the Geneva Conventions, nor as criminal suspects to be put forward for trial on charges related to terrorism, and it was profoundly disturbing to hear President Obama explain, as he did in May last year, that the men in question were those who “cannot be prosecuted for past crimes, in some cases because evidence may be tainted, but who nonetheless pose a threat to the security of the United States.” Essentially, what this statement revealed was that the administration was prepared to rely on information obtained through torture as a reason for continuing indefinite detention without charge or trial. Moreover, the Task Force’s announcement in January — and Obama’s apparent endorsement of it — also ignored the role of the courts, for the simple reason that the majority of these men had outstanding habeas corpus petitions, and that, as a result, it was up to the District Court judges, and not the executive, to decide whether the supposed evidence against them was at all reliable. Such is the muddle created by the Task Force — and such is the secrecy surrounding its decisions — that it is impossible to know whether the nine men consigned to indefinite detention after losing their habeas petitions in the courts are included in the 47 men that the Task Force advised should be held indefinitely. I can only presume that this is the case, but, as events last week showed, we are now in a position where rulings on prisoners’ habeas petitions no longer stand independently, but are actively compared to the results reached by a Task Force whose findings are secret. 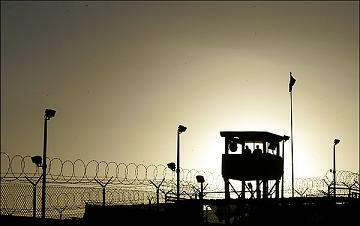 Last week, judges ruled on the habeas petitions of three Yemeni prisoners. The unclassified opinions have not yet been released, so the judges’ reasoning is not yet available, but in two cases the prisoner’s habeas petitions were denied, and in the third case the petition was granted. The two men who lost their petitions are Suleiman al-Nahdi and Fahmi al-Assani, and the man who won was Uthman Abdul Rahim Mohammed Uthman. To confuse matters further, both al-Nahdi and al-Assani had been cleared by a Bush-era military review board, while Uthman had not. It is, of course, not known what decision had been reached by the Task Force regarding these men. If Othman had a plausible argument that he had traveled to Afghanistan as a missionary, this was not the case with al-Nahdi and al-Assani. Both had been seized in the Tora Bora region of eastern Afghanistan (where a major showdown between al-Qaeda and the U.S. military’s Afghan proxies had taken place in November and December 2001), and, although it is clear from the cases of many of the men held at Guantánamo that passing through Tora Bora to escape the chaos of Afghanistan did not prove that they were involved in any kind of military activity (because thousands of civilians were also trying to escape), both men came up with accounts which suggested that they were at least peripherally involved in the conflict. He was then taken by Afghan forces to a hospital in Jalalabad, and delivered to U.S. forces some months later. Over eight years after Guantánamo opened, it is clear from these three rulings that the fate of the men in question is still dictated more by the disgraceful innovations of the Bush administration than it is by any objective notions of justice. Othman may be released, but only when the Obama administration decides that it is politically safe to free any cleared Yemeni prisoners (having capitulated to unprincipled criticismfollowing the failed Christmas Day bombing attempt by suspending all releases to Yemen until further notice). Moreover, it is impossible to know whether any of these three men were cleared for release by Obama’s Task Force, and, if so, what it means if a prisoner loses his habeas petition, when the Task Force had recommended his release. Behind all this, of course, lies the problem that I have been highlighting ever since Judge Leon ruled, last January, that Ghaleb al-Bihani, another Yemeni, couldcontinue to be held indefinitely because he had worked as a cook for Arab forces supporting the Taliban, and had not magically spirited himself out of Afghanistan on the day that the U.S.-led invasion began, in October 2001. Absurdly, it seems to me, this was when the Taliban’s civil war with the Northern Alliance suddenly became a “war on terror,” in which U.S. forces, who hooked up with the Northern Alliance after years of indifference to their cause, were conventional soldiers, but those who opposed them were terrorists. I have serious doubts about whether it is acceptable to continue holding peripheral figures seized during the U.S.-led invasion of Afghanistan in October 2001 for longer than the duration of the Second World War, but even if this were the case, no one in the executive branch, Congress, or the judiciary has fully addressed the fact that, instead, they are still effectively in the black hole dreamed up by the Bush administration when the president accepted, in February 2002, that he had the right to hold a new category of human being — “enemy combatants” without rights — outside the Geneva Conventions.